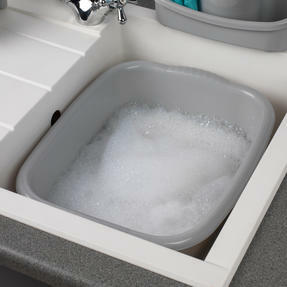 An ideal fit for any busy family kitchen and every use, this Beldray kitchen essentials set includes a 10 litre washing up bowl and a storage caddy with a soap dispenser. 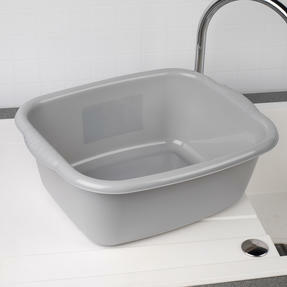 The wear-resistant bowl and sink caddy are made from durable plastic to ensure structural integrity, even when used frequently over long periods of time. A trusted British brand over generations, Beldray design innovative housewares to make everyday life run more smoothly. 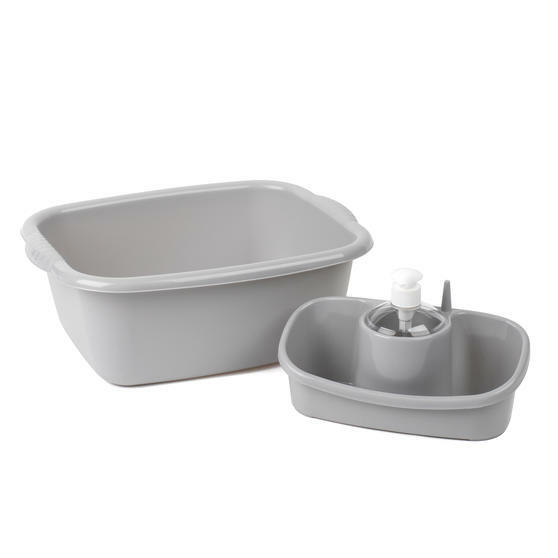 This fantastic Beldray kitchen set includes a 10 litre washing up bowl and a sink storage caddy with a soap dispenser and ring holder. A multipurpose kitchen essential, the lightweight washing up bowl has a 10 L capacity and is perfect for everyday use in the kitchen. 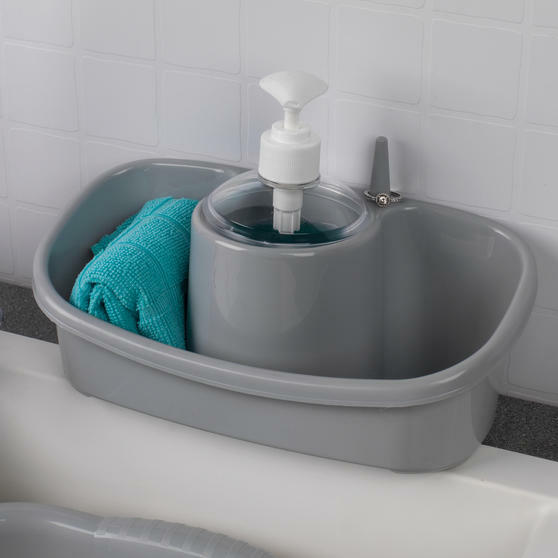 The storage caddy features a centrepiece soap dispenser and helps store sponges, scourers and small washing accessories close by. 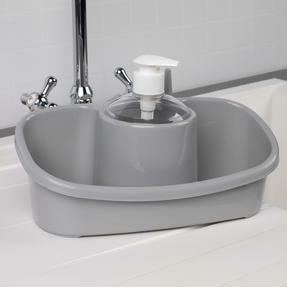 The sink caddy also has a built-in ring holder so you can keep your jewellery dry and away from harsh cleaning chemicals. 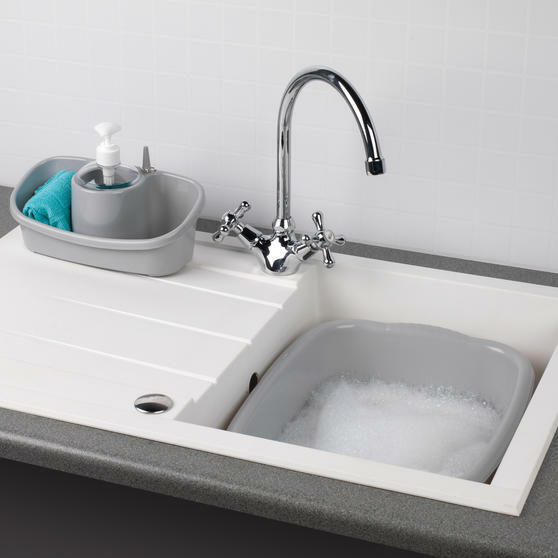 The set has functional designs and minimalist grey finishes that will blend in with almost any kitchen aesthetic and colour scheme.